« Quantifiable Social Media Results? Today was a long run day. 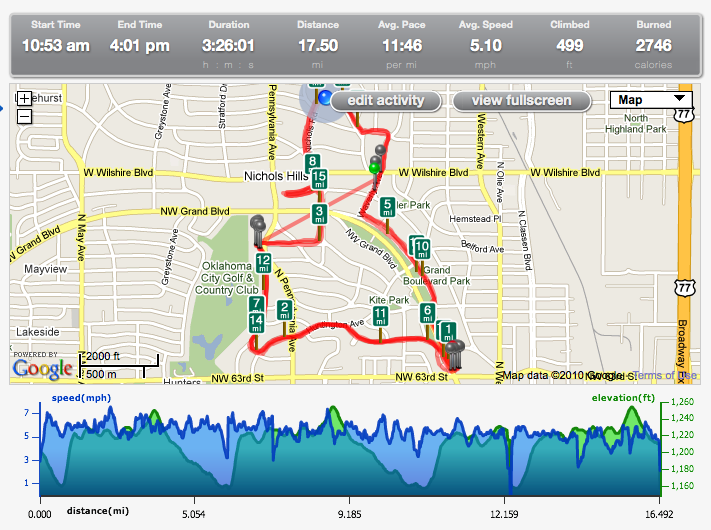 I ran 20.0 miles but was only able to capture 17.5 miles of it with Runkeeper. Still the information it provides is a lot better than a watch. This entry was posted on April 9, 2010 at 3:19 pm and is filed under Long Run Day. You can follow any responses to this entry through the RSS 2.0 feed. You can leave a response, or trackback from your own site.